Two Costa Rican fishermen were rescued in the Caribbean after being at sea for 20 days, Royal Caribbean International chief meteorologist said Sunday. The meteorologist James Van Fleet said in a statement that strong winds pulled the unidentified fishermen away from their equipment after the nets were put in place. They left Porto Limon east of San José and were out of gas Van Fleet tried to return, Van Fleet said. The couple had enough food and water for seven days, he said. It was not clear how they survived without water, and Van Fleet did not immediately respond to a request for comment. "Pure luck, stars of the stars, God, whatever you believe to believe, the facts are we would be at this time NOT been in this area if we had not changed to go to Ocho Rios, "he said. 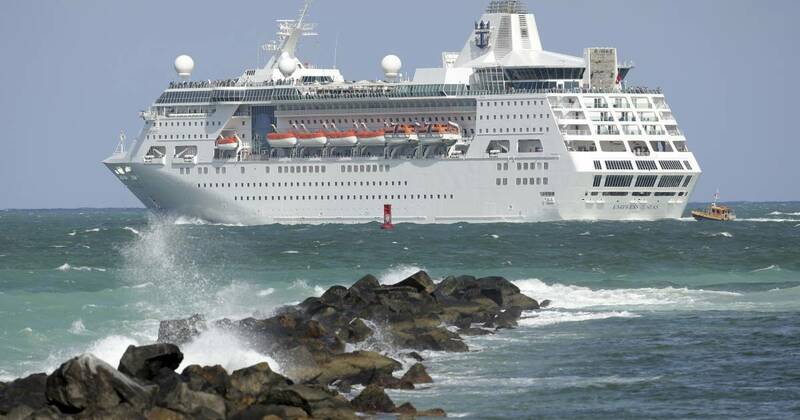 Friday, one fisherman did not rescue, said Van Fleet, when the Empress of the Seas arrived for medical treatment in Jamaica Van Fleet says the fisherman has recovered enough to go alone.